Angel Matching Fund nets $10,100 at Visalia! 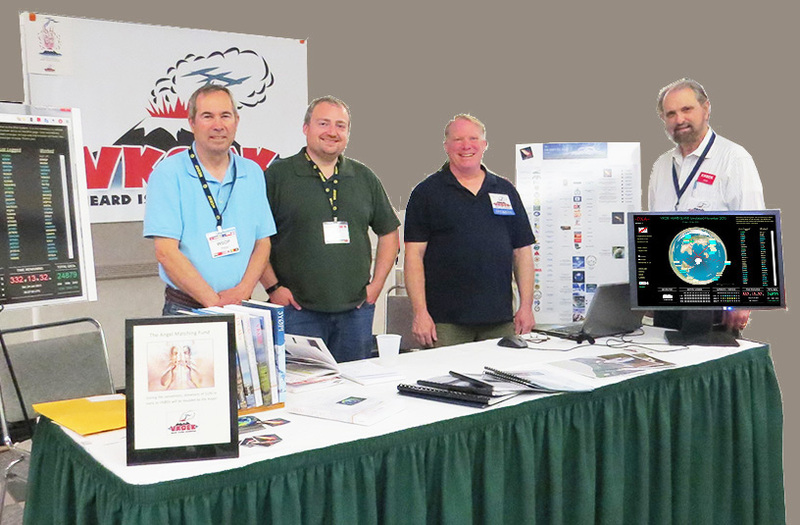 During April 17-19, the VKØEK team manned a booth at the International DX Convention in Visalia, California. By special arrangement, the Angel who sponsored the Matching Fund Jan-Mar, 2015, opened it up again only during the conference, this time with a minimum donation of $100 to qualify for matching. We are extremely happy to report that a total of (exactly!) $5050 was donated; matching by the Angel turns this into $10,100.We want to sincerely thank every one of the 35 persons who contributed, especially one person who contributed $500 and another who contributed $1000. All these persons will be listed on the https://vk0ek.org/sponsors-3/ page. And of course we want to thank the Angel for matching these donations–a real boost to the project! ← Visalia 2015 Report – A Huge Success!